The Kyushu region of Japan has been hit by a series of major earthquakes and aftershocks since late last week. The epicenter of most of these has been centered around Kumamoto, roughly 75 miles from the Sendai nuclear plant that is currently operating. Equipment at the plant that would force it to shut down due to an earthquake has not reached the maximum motion levels required to initiate that equipment. This safety feature is a needed measure to stop a reactor when risk of damage is the highest. It may not be sufficient to deal with the entire scope of risk from an earthquake or multiple earthquakes. Continual, repeated shaking may cause cumulative damage to critical systems at the plant such as piping system. Even if that shaking or motion is not enough to trip the automatic safety systems. It can also damage concrete and other structures as each shaking event does incremental damage. This was seen in various buildings around Kumamoto that sustained initial damage from the first large quake and continued to sustain more damage with subsequent quakes. The second stronger quake also caused many damaged structures to fail further due to their initial damage. Reactor systems and safety oversight plans do not take this incremental damage into account. Various parties with social credibility in Japan have been calling for the Sendai plant to be shut down until this swarm of quakes is considered over. It would also be prudent to call for an in depth inspection of the plant due to the potential for incremental damage that may have gone unnoticed and can’t be identified on cursory walk through inspections. Japan’s NRA has attempted to absolve themselves of responsibility for both this risk we have identified and any forced shut down for safety concerns related to Sendai. NRA stated that any preventative measure shutdown of Sendai such as this ongoing quake risk was not within the scope of the agency and that it would be a “political” decision. NRA has used this excuse in the past when asked about the lack of viable evacuation planning related to various reactors slated for eventual restarts. Over the weekend a govt. minister in charge of nuclear emergency preparedness said there was no need to shut down Sendai in the face of the ongoing earthquakes. Official standards around the world appear to lack any ability to force a reactor to shut down over repeated earthquakes that don’t exceed established ground motion standards. There also does not seem to be any system to account for the degradation over time specific to smaller incremental earthquake damage. Most government oversight programs have periodic inspections of critical systems but they may not be enough to properly detect or understand this ongoing degradation. Serious gaps exist in Japan’s regulatory systems in both what the NRA addresses on nuclear plant systems and also the larger scope of who could shut down a reactor as a precaution due to external events in the name of public safety. This scenario exists in many other countries where no one appears to have this latitude. Many places the threat of a lawsuit from a power company may keep public officials from exercising such authority if they did have it. 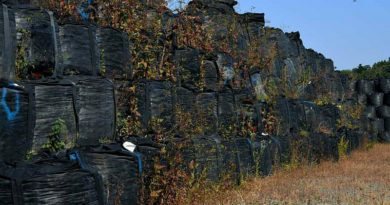 Regulators in Japan and elsewhere should create standards that look not just at a single ground motion event but the cumulative impact of multiple small events as has been seen in Kyushu. To find out more about regulatory standards this report by the US Congressional Research Office explains seismic safety concerns. The US standards are similar to what we have seen of Japan’s standards under NRA. 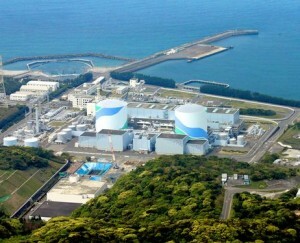 Japan’s NRA put out a technical statement with ground motion data for the three nuclear power plants in the region. A machine translated copy of the report in English can be found here. Some explanation of ground motion and the data used to understand these can be found here. This presentation by the US NRC explains the type of instrumentation used at a nuclear power plant to monitor seismic activity. SimplyInfo.org member Peter Melzer has an in depth explanation of the seismic movement during the 2011 earthquake at Fukushima Daiichi.